Sophie Mary Ciula, 97, was called home to her heavenly Father on Sunday, February 10, 2019. 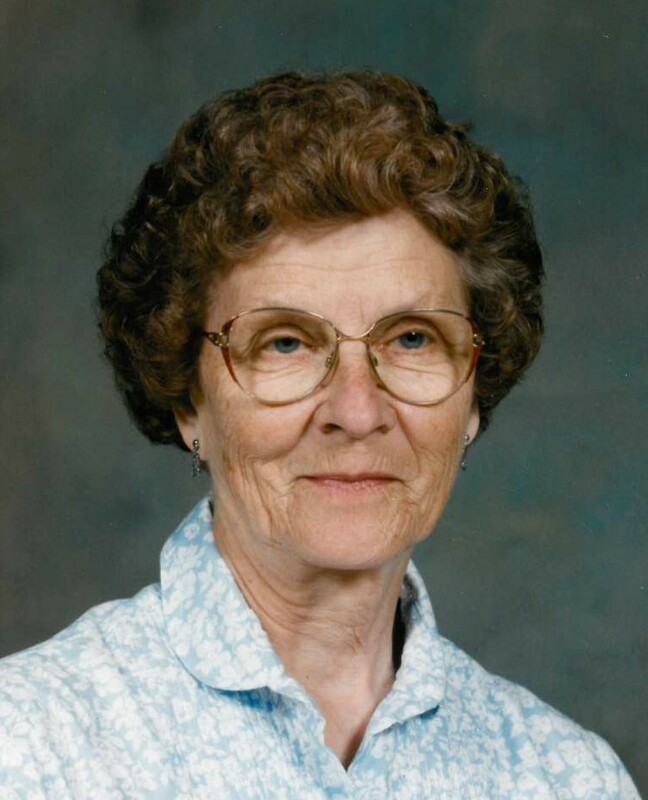 Sophie was born on her family farm, May 18, 1921, in Knowlton, Wisconsin. Sophie’s early years were spent helping on the farm learning the value of hard work and building character, which would become a virtue in her adult years. Due to a childhood injury to her right hand, her father encouraged her to further her education. Fortunately she chose teaching, which she loved, dedicated her life to, and enjoyed for 47 years. She received her Master’s Degree in 1973 from UW-Stevens Point and was a member of many teaching associations. Sophie began her teaching career in country schools in central Wisconsin and concluded as Wausau School systems first certified reading specialist. She touched the lives of many children. She made lifelong relationships with many of the teachers, students, and parents she met along the way. Retiring from the Wausau School system in 1987 did not deter Sophie’s desire for teaching, she continued as a Catechist instructor at Saint Francis Xavier Church. Her greatest pleasure was greeting her grandchildren Felicia, Jacob, and Alexandra as they exited the school bus and helping them with their school work. She is survived by her son, Gary, daughter-in-law, Sandy (Preisig), and grandchildren, Felicia (Tyler) Salvinski, Jacob (Emily) Ciula, and Alexandra Ciula, great-granddaughter Charlotte Sofia Salvinski, and great-grandson Miles Cedric Ciula and many nieces and nephews. She was preceded in death by her parents, Jacob and Mary, her sisters, Mary Ann Wittman, Kathryn Witkowski, Ida Zdzieblowski, Stella Joslin, and two brothers, Sam and Peter. Sophie will be remembered by her generosity in giving of her time to help others and loving ways. You know the love in her never dies, God simply changed her address. Services will be at 10:30 a.m. Saturday, Feb. 16, 2019, at St. Francis Xavier Catholic Church, Knowlton. The Rev. James Trempe will officiate. Burial will be in St. Francis Cemetery, Knowlton. Visitation will be from 4 p.m. to 8 p.m. Friday at Beste Funeral Home, Mosinee, where at 7 p.m. there will be a prayer service. There will be a closed casket visitation from 9:30 a.m. Saturday until time of service at the church. Online condolences can be made at www.bestefh.com. The family would like to thank the staff at Pride for their tender care and to Father Marion Talaga for his countless visits. To send flowers to the family of Sophie Mary Ciula, please visit our Heartfelt Sympathies Store.